We offer two main ways to sign up to sell tickets, help set up the tent, demonstrate, or volunteer for one of your subgroups and other jobs. Go to the Guild's easy-to-use online signup site. Once there, you’ll see a list of jobs with dates and times. You can see which slots are open or filled. To sign up, you only need to provide your name and email. You’ll get a confirmation email from the website service afterwards. Please recognize that the online schedule is not the final schedule -- it may be necessary for subgroup leaders or other organizers to move volunteers around for various reasons. If that impacts your signup, you will be contacted. You can call or email Al Hansen at (603) 731-2193 or Dave Foote at (603) 335- 1105. We will sign you up. And of course, you can talk with your subgroup and other Guild leaders for this event. I get emotional as I reflect on your generosity and skill. The past few years we have had to add an extra table. I wish you could hear the excitement when I call to tell someone they have won a raffle item. I continue to consider myself fortunate to belong to this organization. I look forward to spending time with so many friends. 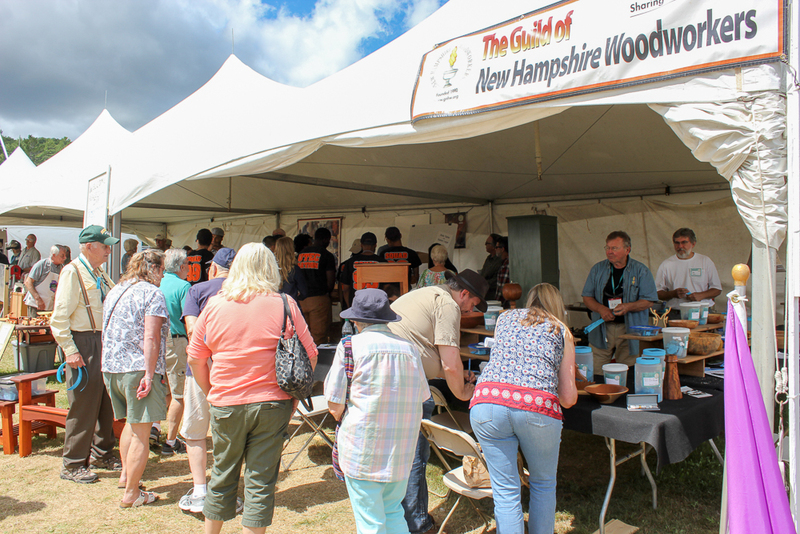 More about the Guild's participation at Sunapee here.